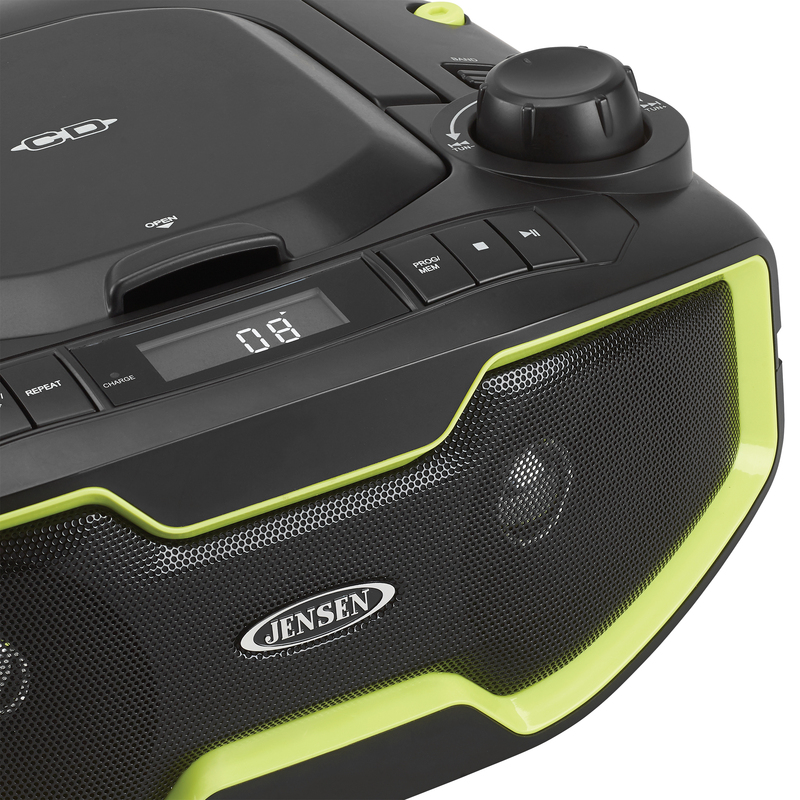 Introducing the JENSEN® CD-575 Portable Stereo CD/MP3 player with AM/FM PLL Radio. 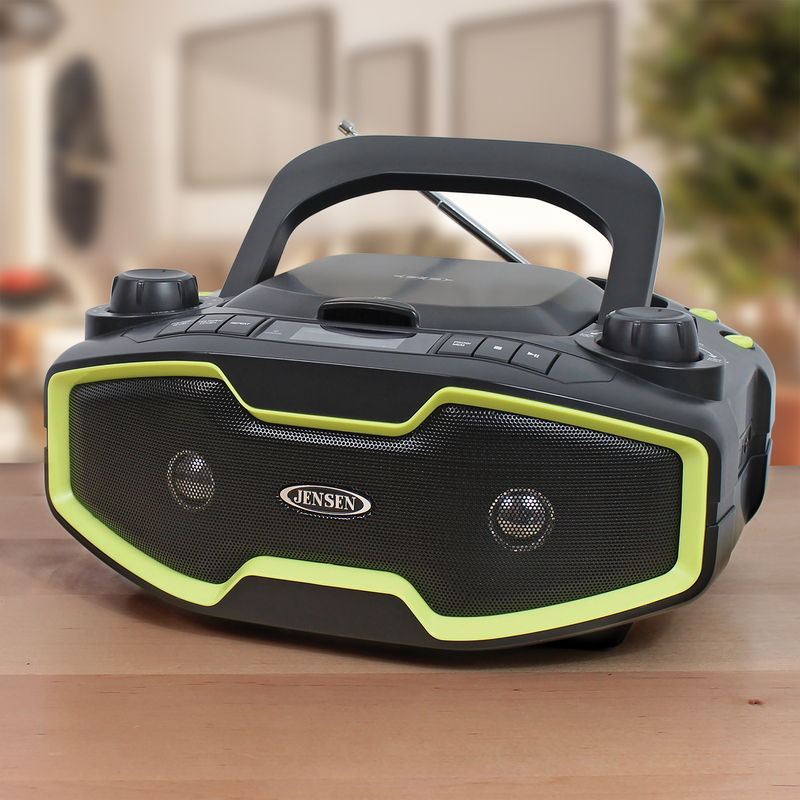 Take along your favorite tunes with this feature-rich portable AM/FM stereo system. 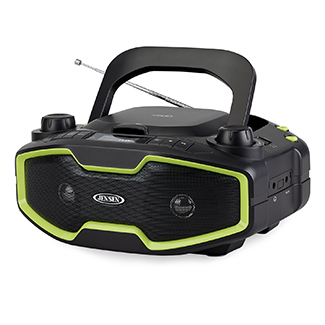 The top-loading CD player provides versatile playback options, and plays both store bought or custom recorded CD-R/CD-RW discs, including those with MP3 music files. 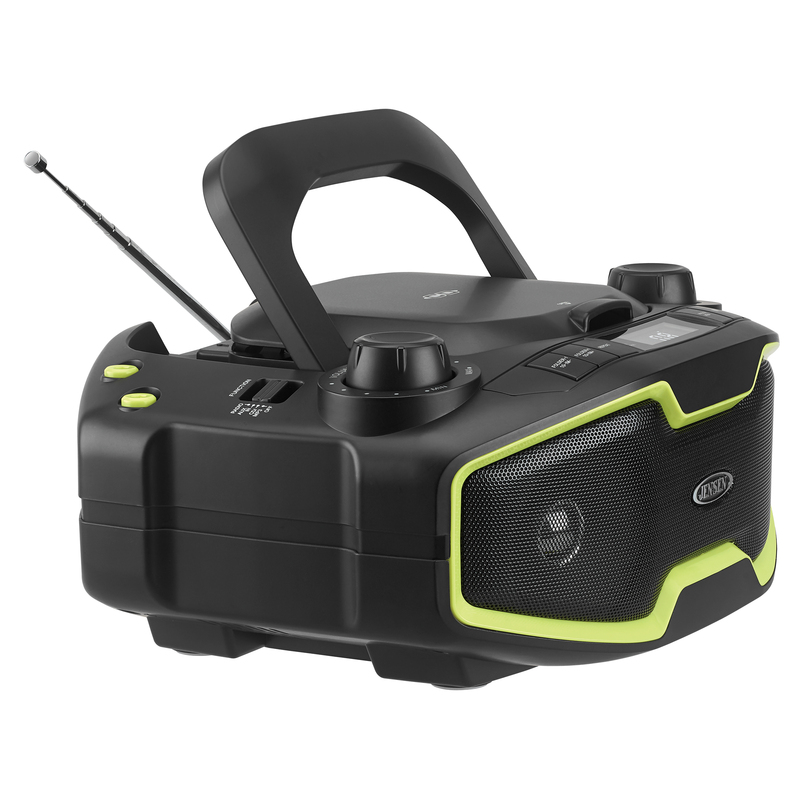 This CD-575 has a sleek contemporary design and eye catching green accents. 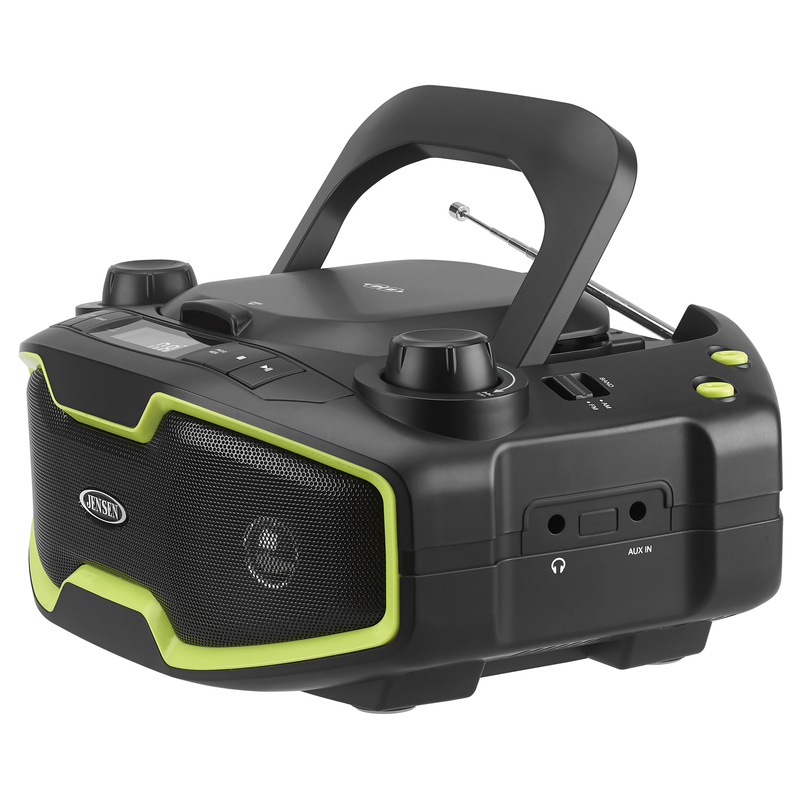 It also includes a built-in handle for easy transport, stereo headphone jack and auxiliary input jack adding to the functionality of the unit. This unit operates on standard 120V AC power or with the built-in rechargeable battery.